The Week in iOS Accessories: The new iPad! The Week in iPad Cases: Heeeere's Johnny! Since last Wednesday's announcement of the new iPad, accessory-makers have raced to launch new products designed to enhance the new tablet—or, at the very least, promoted as doing so. 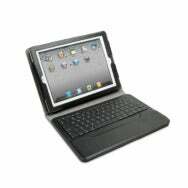 The majority of those products were cases, covered in our roundups of iPad cases: first, second, and third. Here are the other new accessories we've spotted. Gravity Switch: We've heard a lot about how the iPad is used in business settings—sometimes as a stationary interactive display to feature products in a store or at trade shows. The Padloc series of iPad mounts, with products ranging from the $329 wall dock to the $629 floor stand, is aimed at this market. The company pitches the Padloc line as perfect for retail stores, restaurants, hotels, art galleries, and schools. iLuv: This accessory maker has announced a few new accessories for the new iPad. Most notable is the $119 Professional WorkStation Portfolio, which includes a detachable Bluetooth-enabled keyboard that lets you use your tablet like a laptop computer. 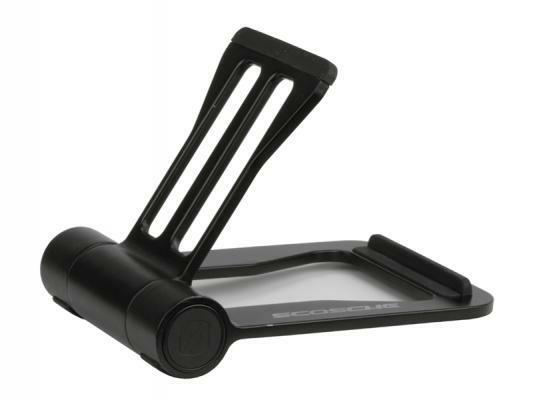 A retractable kickstand provides support for hands-free viewing. The keyboard battery lasts for 30 days on standby mode, or for up to five days of continual use. Joy Factory: Many iPad users like to prop their tablet next to their desktop computers during the day, for the benefit of having multiple screens to scan and collect information. The $60 Klick Desk Stand is made for just such viewing—or perhaps for use in the kitchen breakfast nook for video-watching or recipe-following. 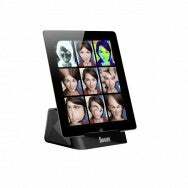 The base keeps the tablet steady, and the stand swivels to allow the iPad to be viewed in portrait or landscape orientation. Satechi: The $45 Satechi iFit-2 is built for any number of mobile devices, both inside and outside the iOS universe, and Satechi says it is also compatible with the new iPad. The Dock Station includes stereo speakers for listening to your music and runs on a rechargeable battery that lasts for up to seven hours of continuous use. 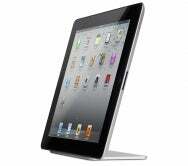 The slanted design provides a slight incline for viewing the tablet (or your iPhone) in portrait orientation. Scosche: Get up! StandUp! The new StandUp desktop stand is made for all three generations of iPad. The foldable, aluminum accessory includes rubberized feet and can be packed up for transport. Scosche hasn't yet released information about pricing or availability. Ten One Design: The magnets in your new iPad aren't just for using the Smart Cover. 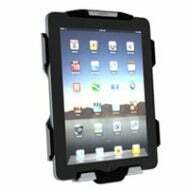 They can also be used in conjunction with the $50 Magnus to provide hands-free viewing of your tablet. The aluminum stand has rubberized feet to prevent your iPad from slipping across a tabletop surface; magnets in the base lock your tablet into place—at least in landscape orientation. As a result, Ten One Design says you'll need two hands to pull the iPad off the Magnus stand. Updated 3/14/2012, 10:52am, to correct name of, and link to, Satechi product.